Party and event band for hire. Ambassador is the new generation of party and event band. Boasting some of the most talented and entertaining young musicians on the current music scene, they deliver an outstanding and unparalleled performance at every show that will guarantee to impress audiences of all ages. Ambassador is proud to announce winning The 2015 National Wedding Industry Award and The National Entertainment Award for best Function and Wedding band in the UK 2013! 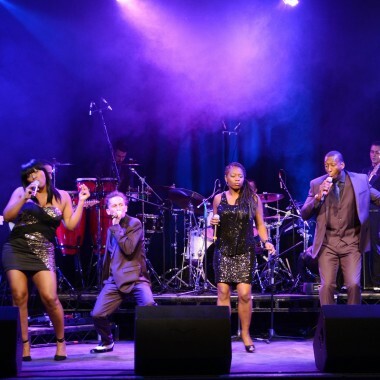 Available from a six to a 12 piece line up, Ambassador perform an eclectic mix of Funk, Soul, Motown and Pop dance floor classics, providing a musical journey fit for any occasion. Ambassador are available for weddings, corporate events, launch parties, Jewish celebrations, charity balls and any other event you can think of. 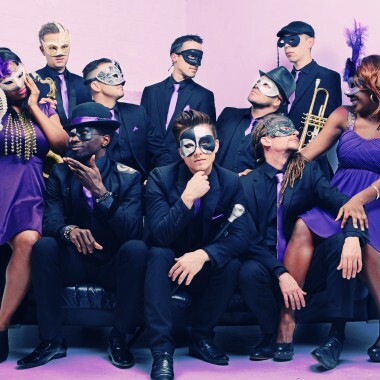 Over the past few years they have built up a reputation as being the best party band around and have flawlessly entertained audiences and clients throughout the UK, Europe and the rest of the world. All band members are all active within the upper echelons of the music session world, Their boys and girls have performed with artistes such as Adele, Taio Cruz, Maxi Priest, Shalamar, Plan B, Larry Graham, Eliza Doolittle, Sam Sparro, Terence Trent D’Arby, Mike Skinner, Jools Holland Big band and The Miles Davis band to name a few. As a band they have appeared on BBC 1 Television and have played for an elite list of past clients, including The Moroccan Royal Family and Manchester City Football Club, The Ambassador of Azerbaijan as well as performing at destination weddings across Europe and luxury five star hotels in the Middle East. The experience and talent within the band has led to an extensive and ever-expanding repertoire from which the band can select, making their live sets diverse and fresh. Ambassador are adept at playing iconic dance floor classics from many different genres; classic funk, soul, disco and Motown, as well as modern tracks from the acid jazz, R&B and pop scene. The performers understand the importance of the right music at the right event; it is the key element to a successful party and this band has it nailed when it comes to having something for everyone. The band is fully self-sufficient providing your event with everything from a quality PA system, lighting rig, party music to be played before, between and after their live sets and the option of both formal and informal stage wear. Set times consist of two x one hour sets with an extra 30 minute or one hour set available at an additional fee. Ambassador are the top of their game when it comes to providing live music for events. 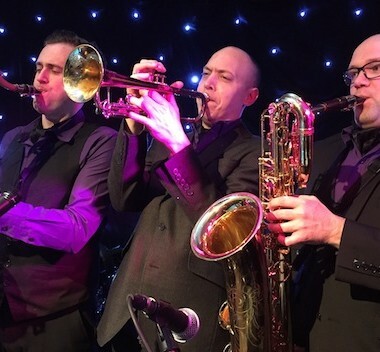 The band sound fantastic, look great and are an ideal choice for any event – if you want an amazing party atmosphere and a packed dance floor all night long. As well as the songs listed here the band are adding new songs to their repertoire on a monthly basis. They are happy to learn any one song a client may require. It is difficult to put into words something that is of the moment and so exhilarating. The band truly delivered a performance that was of the highest quality and helped to make the party a memorable one for Louise and myself. Our guests were blown away and the comments we have had made us so glad we chose Ambassador. Your band’s amazing, the singers are great. Thanks for a great night guys! Ambassador were amazing during our wedding, and afterwards we had so many compliments about their music and singing. Thank you very much. We really appreciated all the hard work and effort you put in to make our wedding such a success. What a fantastic night the music was sooooooo good You really were Amazing!! James said we need to throw another party just to book you again. We spent so much time researching the best bands for our Great Fosters December wedding as we wanted a real party fun celebration and a really cool band, it was so important to us and we could not have picked anyone better than Ambassadors! You guys were literally AMAZING! We have had so many compliments about you, every single person at our wedding loved you…you all really made our wedding party unforgettable for us, and we would really like to thank you for that. Great to see you all again, your band is amazing and we love the music you play. Thanks you for coming. See you again soon.